Jerry has been training at TEAM ROC for 12 years and earned his black belt July 17th, 2018, specializing in “BIG BOY JIU-JITSU”. Jerry is a black belt under Royce Gracie, under Greg Thompson. 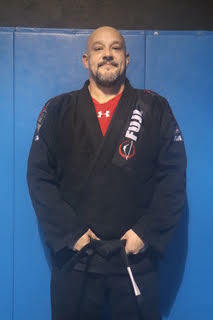 Jerry is one of our assistant black belt instructors for the Adults BJJ classes.